Crystal Cruises will be celebrating 25 years of sailing in 2015 with multiple theme cruises bringing back former Crystal captains, as well as current top executives. winter. As Crystal’s latest venture embarks on December 23, 2015, discerning luxury travelers can dive into the destinations – and the waters between them – with dozens of thrilling Crystal Adventures ashore, some of which are offered complimentary. The yacht’s maiden voyage offers an inclusive post- and pre-cruise New Year’s Eve Extravaganza in Dubai, complete with three- or four-night accommodations at the extraordinary Dubai Taj Hotel and spectacular fireworks display. The extravagantly appointed yacht will be outfitted for adventure, and is set to call in ports never before visited by Crystal’s acclaimed ocean vessels, Crystal Symphony and Crystal Serenity, which affords great opportunity for the line’s savvy globetrotting guests to gain new travel perspectives while enjoying the same standard of luxury service for which Crystal is lauded. This includes adventures on the beaches, mountains, waters and skies of each locale, expertly designed with yacht travelers in mind. “Yacht travelers expect all of the fine nuances that make a Crystal vacation extraordinary, but with a more intimate, personalized feel. The Crystal Adventures offered with Crystal Esprit’s voyages will satisfy – and surpass – this expectation, with most options available only with Crystal Yacht Cruises,” says Crystal President & CEO, Edie Rodriguez. Trek to Delphi at Mount Parnassus in Itea, Greece, the imposing and sacred site once thought to be the center of the earth. Every Crystal Esprit itinerary will also offer at least one complimentary excursion in every port, including hiking and rafting the Acheron River in Parga, Greece; ziplining through the dense forest in Ephelia (from Mahe, Seychelles); and exploring the medieval city of Ljubljana, the capital of Slovenia (from Piran). “In-transit” excursions allow guests combining itineraries to fully maximize their time in embarkation/disembarkation ports between voyages. Seychelles’ Inclusive Dubai Program, a 2-night, pre-cruise experience inclusive with every Seychelles voyage, giving guests the opportunity to explore the wonders of Dubai, from haute couture shopping malls and traditional gold souks to desert safaris, world-class golf and complimentary entrance to the Wild Wadi Water Park. New Year’s Eve Dubai Extravaganza, 3 or 4- night program offered to guests who sail on one of the first two Crystal Esprit sailings, includes an uninterrupted view of the spectacular Burj Khalifa New Year’s Eve Extravaganza, where the world’s tallest building lights up in a dazzling presentation of light and pyrotechnics. Offered 3-nights post-cruise on the yacht’s December 23, 2015 maiden voyage, and 4-nights pre-cruise on the inaugural 2016 voyage. Complete itineraries and fares for December 2015 through the beginning of 2018 are now available on Crystal’s website. The routes are available for booking exclusively for Crystal Society members – Crystal’s repeat guest program – now through September 1, when books open to all travelers. The Inclusive Dubai Land Programs feature luxury hotel accommodations, all transfers from/to hotel and yacht at airports in both Dubai and Victoria, all taxes and porterage, and breakfast daily. https://prnmedia.prnewswire.com/news-releases/322089061.html?tc=PRNJ_email_html_headlines is the world’s most awarded luxury cruise line, having earned more “World’s Best” accolades than any other cruise line, hotel, or resort in history. Crystal Cruises has won “World’s Best Cruise Ship” in Conde Nast Traveler’s Reader Choice Awards for 21 years; been voted “World’s Best Large Ship Cruise Line” by Travel + Leisure readers for 20 consecutive years; and the “Best Luxury Cruise Line” by Virtuoso in 2014. 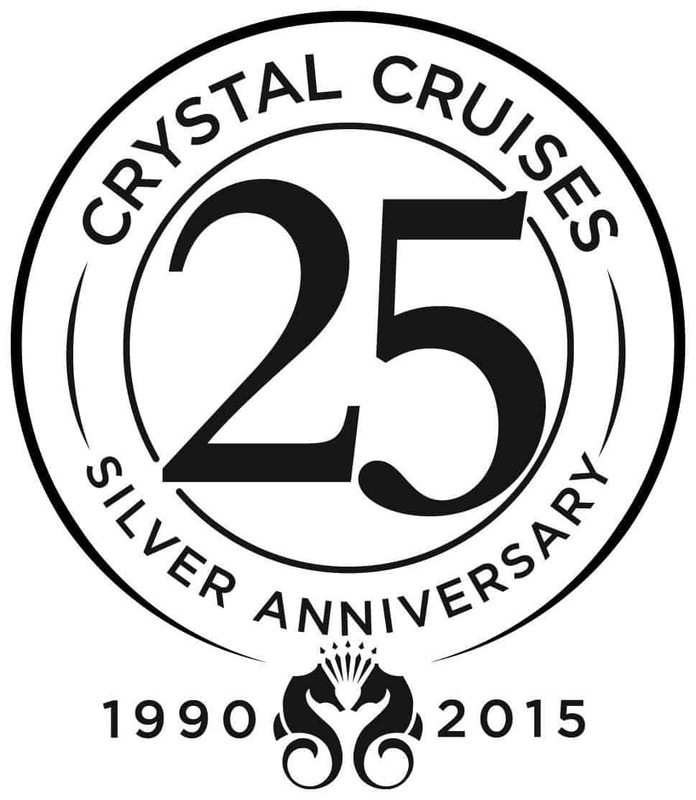 In summer 2015, Crystal embarked on the most significant brand expansion in the history of luxury travel and hospitality, which will introduce three new classes of cruising – Crystal Yacht Cruises (December 2015), Crystal River Cruises (March 2017), Crystal Exclusive Class Ocean Cruises (late 2018) – and Crystal Luxury Air (fall 2017).